A Berlin dairy in 1930. In 1933, Berlin was the center of Jewish life within Germany. Though Jews made up less than one percent of Germany’s population, nearly a third of all Germany’s Jews lived in Berlin, where they constituted about four percent of the city’s population and owned an estimated 40,000 businesses. Accordingly, Berlin was in many ways the center of the persecution and expropriation of German Jews after the Nazis assumed power in 1933. However, until recently, there had been little systematic study of the economic and commercial lives of Jews in Nazi Berlin. LBI spoke to Christoph Kreutzmüller, one of the historians behind the new exhibition, “Final Sale. The End of Jewish Owned Businesses in Berlin” and Humboldt University press spokesperson Thomas Richter about why such a project was so long in coming, why Berlin was considered a safe haven by many Jewish entrepreneurs, and why it is important to make history personal. How did your research project turn into this exhibition? CK: I started this research project to catalogue the whole spectrum of Jewish-owned businesses in Berlin, which was something no one had ever done before. Eventually, it became time to tell the city about what we found. After all, we were researching in Berlin about Berlin. It is very important to the Humboldt University, the research is not done in the ivory tower, but within the context of society as such. At the Leo Baeck Institute, we are also presenting a segment of about 8,000 businesses from our database on a public computer terminal, which is the first time this data has been publicly available anywhere. Why do you think it took so long for someone to approach this topic systematically? TR: There has been so much research, and there is so much awareness, about what was lost in the realm of culture as a result of the Holocaust. It doesn’t always occur to people to think about business and economics in the same terms. 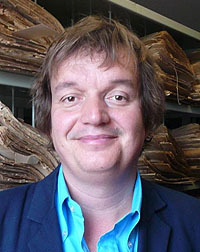 Christoph is an economist as well as a historian, which is critical for understanding the methods of expropriation. People were not always physically thrown out of their businesses. They were pressured into selling it or handing the business over. There was a lot of economic intimidation used to force people out of their businesses. CK: It’s the size, too. Berlin was the center of Jewish life in Germany, and one in three Jews lived there. It was also the center of German commerce. Forty percent of all public limited companies or Aktiengesellschaften were registered in Berlin, as well as all the banks. It wasn’t Frankfurt back then, it was Berlin. The stock exchange in Berlin was like Wall Street. Then, you have to consider the fact that the city was divided until 1990. That simply meant that a lot of research could not be done on Berlin because the archives were separated. It wasn’t until a few years ago that the archives were really integrated. Finally, even though Raul Hilberg stressed that expropriation was an important step and part of the process of the persecution, there has not been a lot of research on what this meant. Historians tend to write political history, thinking that economic history is a different matter. It isn’t, of course. It’s just the other side of the coin. Reading the exhibition catalog, you can see how deep and complex the legalistic chicanery that went into expropriating people often was, but also how sophisticated many of the survival strategies were. CK: Many of the survival strategies were quite successful for a time. First of all, people began directing their business toward Jews. 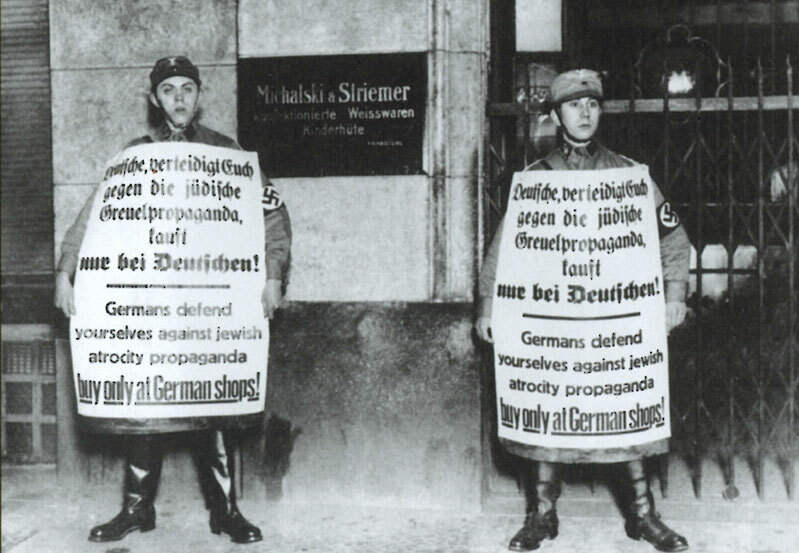 You can see a striking increase in the number of advertisements in Jewish papers around the time the persecution began. 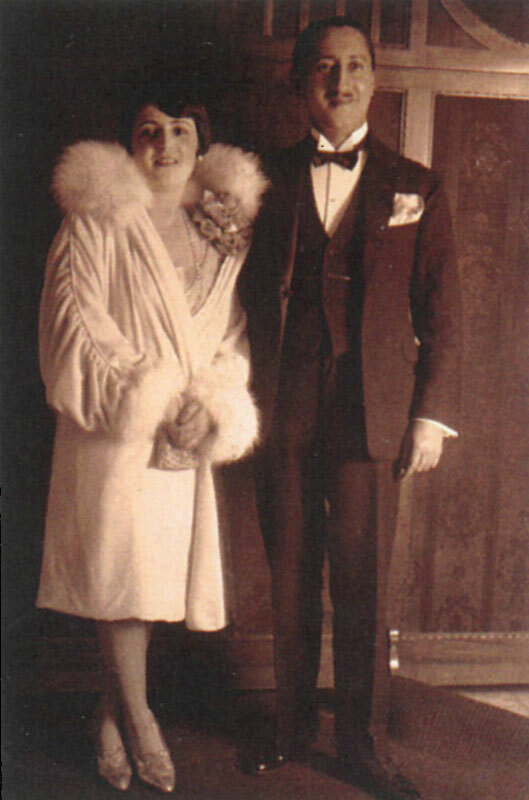 Nissim Zacouto (1892-1987) and his wife Norma in Berlin, 1922. Zacouto was a Turkish Jew who built one of Berlin's premiere oriental carpet businesses. After 1938, some of his customers included Jews who hoped to save some of their assets by buying expensive carpets and transferring them abroad as simple rugs. A second strategy was trying to move more of your business abroad. As long as you earned hard currency, you were somewhat protected, because the regime needed hard currency. This was very difficult, but if you did business abroad, you could try to keep some of your assets abroad, for example by not demanding immediate payment. Then, you could try to emigrate. The other thing was to go to the Jewish Community. The Jewish Community in Berlin was the first in Germany to set up Genossenschaftsbanken or co-operative Banks in the mid 1920’s. It was called the Jüdische Mittelstandsbank, and they provided small loans of just a few hundred marks. This kind of economic aid was very successful in Berlin. If someone lost their shop or some of their goods in the boycott, he had access to credit to buy new inventory. Another option was to find a non-Jew to take over day to day business and withdraw a bit so that you are not immediately visible. Also, trying to get a new passport or officially sell your company abroad was a way to ensure that it would not be liquidated. If you managed to get to the United States, or even get a US passport, you could save your company. You can also learn a lot about the persecutors by studying the individual stories. I learned so much about the day to day persecution and the perpetrators, which you can only do if you examine it at this micro-level. That fills a gap, because we often know much more in the way of personal details about the Jews who were murdered than about the Nazis who murdered them. This is one of the reasons why the next project in the Department of modern German History at the Humboldt-University, we will focus on the general history of the city of Berlin between 1933 and 1945. How big was the team that worked on project, given the size and complexity? CK: We had 16 people from a variety of backgrounds: my students and staff, who were young and the people from the Aktives Museum Faschismus und Widerstand, many of whom are retired and work as volunteers. And, of course, the two designers who worked very close with us from the very beginning. You can see all these different influences in the outcome of the exhibit. People would say, I want to tell this story, and they really got into it. They would take every effort to find as much information as possible about a person or a company, which in many cases was very difficult. What changed for Jewish owned businesses in Berlin in 1933 when the Nazis took control of the government? 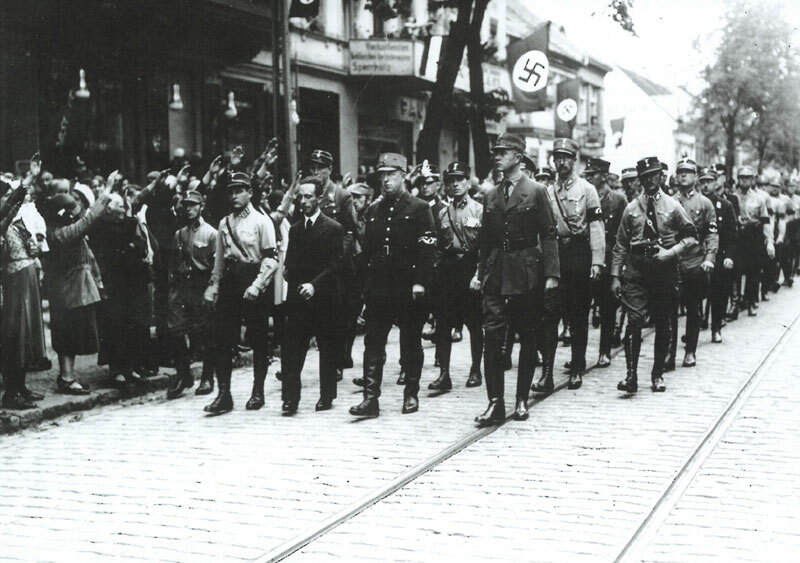 A column of SA men, led by Joseph Goebbels and SA leader Herbert Gehrke, march through Köpenick after the "Köpenick Week of Blood," in 1933, when stormtroopers killed 23 people, including the entrepreneur Georg Eppenstein. Politically motivated fighting and racist violence had become a daily occurrence in 1930-31. Anti-Jewish boycotts were in place much earlier. In small towns, you had anti-Jewish boycotts starting in the mid 1920’s. In many cases, Jewish shop owners actually moved to Berlin because they thought they would be safer there. It’s quite interesting that, at the level of small and medium-sized companies, which I was looking at, the number of Jewish businesses actually rose between 1933 and 1934. That is because of the people moving from little places like, say, Luckenwalde or Finsterwalde to Berlin, and also because professionals and civil servants who were forced out of their jobs and started businesses to survive economically. What methods did the Nazi’s use to force people out of business once they were in power? Two SA members harass the Michalski and Striemer linens and hat store in 1933. CK: First and foremost, they used violence, massive and intimidating violence. Berlin was the political center of Germany, so it had a very high symbolic value, and the political fighting was very intense there anyway. You had these extremely violent young terrorist SA men, and they were rampaging, beating people up. There is one example in the exhibit of an entrepreneur who was murdered in 1933. George Eppenstein, who owned a business called Ruilos GmbH specializing in garlic products, was beaten to death by SA men who tore through Köpenick, a district on the outskirts of Berlin, abducting and torturing people in June. The violence returned again and again: in 1933, and then again during the summers of 1935 and 1938. The summer 1938 attacks are very well documented. In that case, which was really just one step shy of a pogrom; you had people going through the streets, painting all the Jewish-owned shops to identify them. This culminated, of course in the pogrom of November 1938. And then there was bureaucratic persecution and cold boycott. This is a hard thing to document because, officially, the German government treated Jewish businesses the same until the winter 1937. Unofficially, the party pushed. There were blacklists here, firings there. The cultural sphere was especially targeted – which you can see in the exhibition, too. So these two types of persecution, bureaucratic attacks on the one hand and violence on the other, met in 1938. What was so important about the labeling of Jewish businesses, as was done in the summer of 1938? 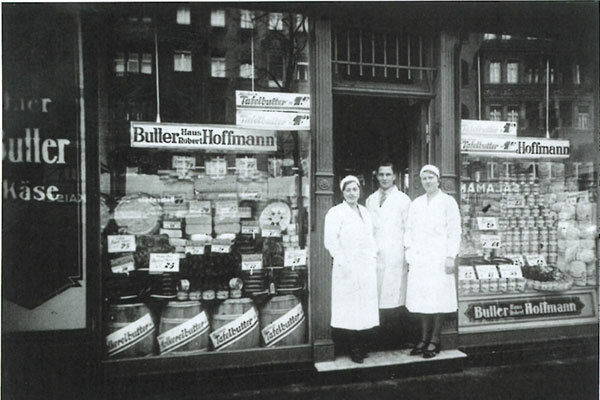 CK: In 1938, two-thirds of the Jewish retailers in Berlin had managed to keep their shops open, which is quite a lot. What that means is that people were still shopping at Jewish businesses. They must have been, or the businesses would not have survived. That is why the Nazis started labeling them in Berlin, to put the shop owners under even more pressure. You can see it on the broken shop window on the cover of the exhibition catalogue. Hanging from the broken glass in the storefront of the “Beleuchtungshaus des Westens,” a lamp shop, is a fragment of the owner’s name, Wilhelm Phillipi. Jewish business owners were required to display the proprietor’s name this way, which made them easy to recognize as Jewish. These signs basically served as a guideposts for the destruction on November 9, 1938. That only happened in Berlin. Where you surprised by anything you learned in your research? CK: One finding from our research that is truly new is that the November 1938 pogrom actually took much longer than just one night. The plundering took at least four days because there were just so many shops, and the police couldn’t stop it. There is this infamous meeting on Saturday November 12, where Göring said, “I have had enough of these demonstrations! They don’t harm the Jew but me, who is the final authority for coordinating the German economy.” At that time he made those remarks, the plundering was still going on. There was actually a rift within the Nazi leadership, because there was one group who wanted a big demonstration for propaganda purposes, and another who wanted to have all these goods owned by Jews. If people went into a store and ruined all the shirts, shoes, machines and tools then you couldn’t sell them. In this case, you had the violence leading the way, and the bureaucrats trying to catch up. There are a few examples of businesses that continued after the war. 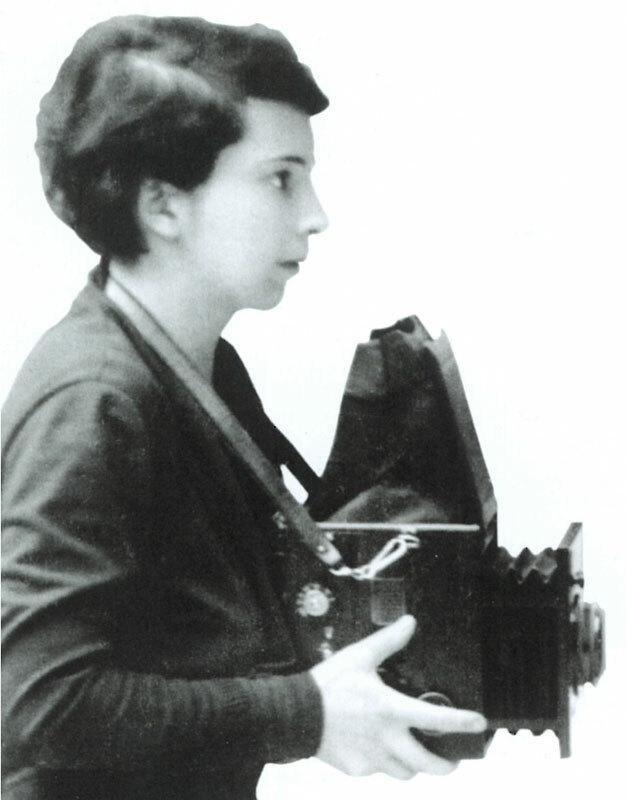 The photographer Else Ernestine Neueländer built a successful fashion photography studio under the name "Yva." CK: These are really the exceptions. First, many of them left the business for years, so it was extremely difficult to restart. Second, Berlin lost nearly all of its industry and its status as the economic capital through the postwar division. Siemens, for instance, went to Munich. So, not many people returned to Berlin. If you were from Frankfurt, you might return there, but not to Berlin. Third, but perhaps foremost, the German restitution process was very slow and bureaucratic. Supported by the Federal Ministry for Education we are writing an essay on the early restitution right now. And there is one example in the exhibition. Nissim Zacouto was a Turkish-Jewish carpet trader. He really wanted to return to Berlin. He really liked Berlin. But after undergoing the early stages of this restitution case, which, by the way is still not settled in 2010, he chose to stay in Paris. What about businesses that survived under non-Jewish ownership? 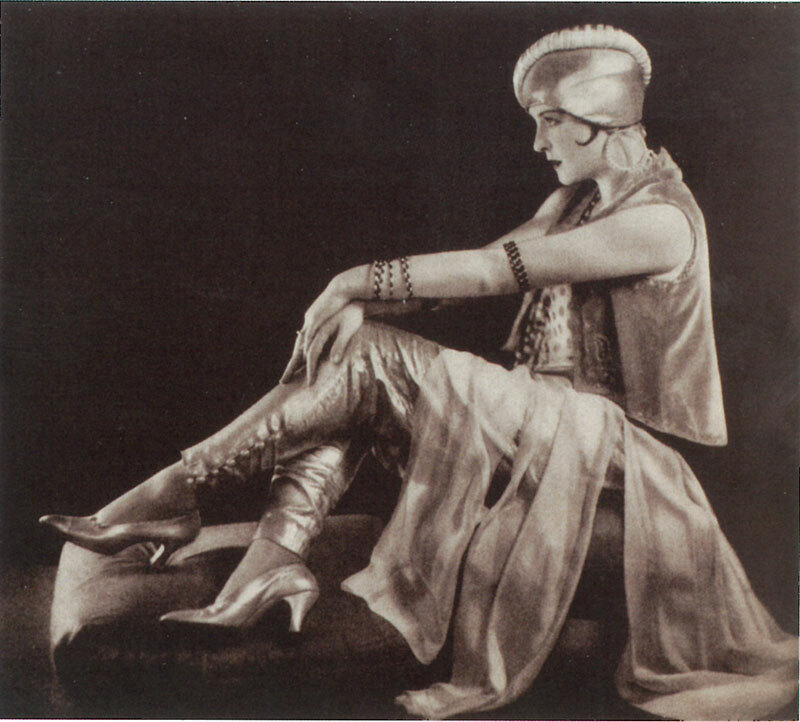 The Schule Reimann art college designed the "Yalta" costume in this photograph taken by Yva Photo Studio. CK: There is one example of a company that is still operating today in the exhibition. Theaterkunst still lends props and costumes to film and theater productions. They were very interested in the project, and we actually went to visit them and they showed us all their props. Generally speaking there isn’t much awareness about this history. If people know any of the stories, then they know the big examples like Wertheim’s department store. Then again, if you ask the average Berliner where Siemens was founded, they would probably say Munich! What was the reception like for this exhibit in Berlin? TR: When we launched the exhibition, we saw that people were honestly surprised that you even could know these things. The idea of such a large Jewish community in Berlin had been erased. We were overwhelmed by the number of people who made special trips there and asked for tours, especially when you consider the number of major exhibitions at Berlin’s museums. I recently worked on a project called “Class of ‘33”, in which the HU invited Jewish students who were expelled back to the university. One thing that became clear to me is that as we lose Zeitzeugen, the witnesses to history who can tell their stories, we have to find new ways to make this history personal. There is so much data and numbers, but it’s the individual stories told on the wall here that really have an emotional impact.